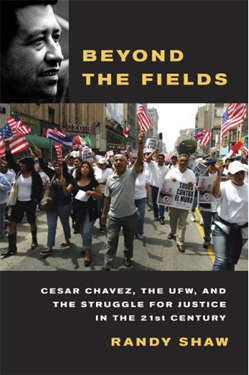 Randy Shaw, Beyond the Fields: César Chávez, the UFW, and Struggle for Justice in the 21st Century (Berkeley: University of California Press, 2008), 347 pp., $24.95. (c) Copyright 2009, Michael Yates. All rights reserved. This review first appeared on the Left Business Observer website. It appears here with the permission of the author. For a different take on Shaw’s book, see Chris Tiedemann’s review here. This review by Michael Yates includes some extensive trashing of the Chavez legacy. Clearly that is important to the writer. In general, I learn from the writings of Michael Yates and respect his writing. This piece, however, is over the top. From internal comments in the review, I see that Mr. Yates worked for the UFW during the winter of 1977. This was indeed a difficult time. The charges of the Game, and redbaiting among others, have their tale to be told. Randy Shaw covers the Game in his book. These events had their strongest effect in La Paz where Michael Yates, according to his report, was a staffer. A new book presently in preparation will go further on this. Yates makes an assault on the role of Chavez and the Catholic church, but in part he is wrong. While he is correct about the role of the Catholic hierarchy, it was not the hierarchy that supported Chavez. Indeed working with the UFW was a form of exile for many. 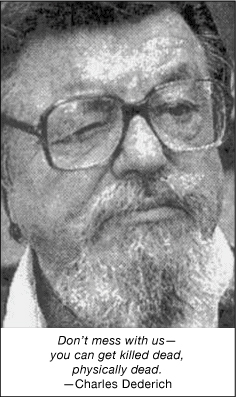 There were a long series of priests and brothers who were influenced by (early) liberation theology and who devoted years to La Causa, as well as a number of activists protestant clergy and laity. Recall these were some of the same movements who gave their lives in support of the Central American revolutions. I knew 3-5 of these folks very well. They were not a part of the Catholic anti communist alliances referenced by Yates. From my own personal , direct experiences I have found the tale of Fred Hirsch and his daughter to be essentially correct as told by Yates. You can find records of these struggles in the Farmworker Movement documentation center. One item missing from both the review by Michael Yates, and the book by Randy Shaw is the major contributions of the Chavez, Huerta and the UFW in building the Chicano Movement in the Southwest. In the 60’s Chávez became the pre-eminent civil rights leader for the Mexican and Chicano workers, helping with local union struggles throughout the nation. He worked tirelessly to make people aware of the struggles of farm workers for better pay and safer working conditions. It is a testament to Cesar Chavez’s skills and courage that the UFW even survived. They were opposed by major interests in corporate agriculture including the Bruce Church and Gallo Corporations as well as the leadership of the Republican Party then led by Ronald Reagan. Workers were fired, beaten, threatened and even killed in pursuit of union benefits . Non union farm workers today continue to live on sub-poverty wages while producing the abundant crops in the richest valley, in the richest state in the richest nation in the world. Randy Shaw’s book covers the later development of Latinos and Labor in his chapter 7, but Yates ignores this major contribution. Chicano politics and Chicano Latino history were made. Several of today’s Latino elected officials got their start working for a few months with the UFW. I do not know why this significant contribution is largely ignored in the Yates review. Perhaps it says some things about the perspectives of the writer. Yates offers some brief historical context of labor history, but each of these examples are themselves full of contradictions, for example Yates has a great deal of praise for the United Packinghouse Workers. Well, there are two or more sides to that story also. Bottom line, there are many who denounce Chavez as Yates has done and more to come. Yates also sharply criticizes Eliseo Medina and Dolores Huerta – among others. While I disagree with some of the positions taken by each of these two leaders, note that it was Eliseo Medina who apparently helped to bring the AFL-CIO and Change to Win together in the direction of a joint immigration policy. See the recent posts on this topic. And, full disclosure, Dolores Huerta is a friend of mine. As Shaw argues, hundreds of activists in labor, Chicano, and community organizations owe their skills to UFW training and experience. Along with improved working conditions, salaries, and benefits, training this cadre of organizers remains a major legacy of the UFW–as noted by Shaw. The UFW experience taught us that all organizations have problems, that all organizations are imperfect. But, if you wait for the perfect organization, nothing gets done. Building popular organizations builds people’s power, and democracy requires long, hard, disciplined work. And, for doing this work you will be assaulted, defamed, and attacked – as were both Martin Luther King Jr. and Cesar Chavez. 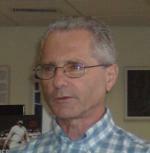 In Yates’s view, the current weakness of the UFW is a consequence of the failures of authoritarianism in the union and the peculiar period of the Game. This overstates the case against Chavez. Certainly the current weaknesses of the UFW are primarily a consequence of the assault on the union by corporate agriculture and the Republican Party. This was the era of Ronald Reagan. Many unions were weakened in this period. Should we not expect a new, struggling union to be impacted by corporate power? If the decline in organizing victories was a consequence of leadership failures, then why have farmworkers been unable to organize more successfully in Ohio/Indiana and Florida and Texas? On May 16, 2008, Maria Isabel Vasquez Jiminez, 17 years old and pregnant, another undocumented worker in the U.S., died of heat stroke. Maria and her husband were working in the fields near Stockton, California when she collapsed in the 105 degree heat. She was one of at least 13 workers to die that summer from heat stroke in California’s fields. Who is it that can fight back and defend these workers ? It is a union. A few people denouncing atrocious working conditions is not enough. Defense of workers rights requires organized power and institutions – a union. The UFW is doing its share of this defense. See http://www.ufw.org. I agree with Yates conclusion that a definitive history of the UFW and its leadership has yet to be written. The information for research is available. An important question is what can we learn from these experiences. For example, two UFW veterans Jerry Cohen and Leroy Chatfield have organized a group to advocate for inclusion of farmworkers and domestic workers within the N.L.R.A. closely related to the campaign for the Employee Free Choice Act.